« For Future Doctors: BUDGET 2017, as reality hits……….. So, finally the first batch of HOs under contract has been given. I was made to understand that 1300 contract posts were given out after the last SPA interview conducted in October 2016. These were graduates who were waiting since early this year. Interestingly, I was told that none received permanent post. Even JPA scholars were only given contract post and it seems, the agreement that you have with JPA has nothing to do with MOH. There is no guarantee that you will be continued to be employed just because you are a JPA scholar! This comes as a surprise even to me as the scholarship contract specifically says that you will be bonded with the government for 10 years. Only from this year, the scholarship contract was redefined as convertible loan. What happens if the scholar is not able to get a permanent job with the government? Does he need to pay his bond? An interesting question. The good news is, those who received these contract post were able to get their posting in December 2016(in just 2 months after interview), as long as they are not choosy in picking their hospital on e-housemen portal. But they still waited for close to 7 months to even be called for interview. Somehow, I feel this will remove all the dead wood graduates from the system. However, I am also worried about lack of transparency in making such selection. Those who are hard working and got no issues in completing housemanship should not have any problems. I feel there should be some sort of committee to make such decisions to be fair. Contract post also means that HOs can stop demanding this and that. The motto will be ” you tak suka, you boleh keluar“, the most favourite statement from our politicians. Your contract can be terminated. So, what happens to those who do not get permanent post after 4 years contract? Firstly, you need to find a job: either open a clinic, join as emergency department MO in private hospitals or find another non-medically related job. Secondly, all your ambition to become a specialist will have to disappear unless probably FRACGP organised by Academy of Family Physician of Malaysia, join as a private Master’s candidate at local university(you pay full fee and very limited seats) or probably do some non-clinical, part time courses. Finally after settling my tax issues with IRB, I am off again for a long holiday of 3 weeks……… Sayonara to everyone…..
With such “prospects”, JPA scholars in the UK and Australia especially will find themselves in an even more horrible predicament. I really feel for them. They should be happy and will not return after graduating as they know that JPA will be lenient with them or not bothered about them. They can continue to do their specialisation overseas and go to other countries where their services will be much appreciated. Hahaha….blessing in disguise for a free education. Will the introduction of contract HO post also reduce the waiting period for SPA interview after submitting the application for future batch? I’ll be graduating next year and I am looking forward to know the impact of contract HO on the waiting period for graduate next year. Will it be much shorter compared to the current situation? Any reply from doctor would be much appreciated. Enjoy your holiday, doctor! Goody day. Will the introduction of contract HO post also reduce the waiting period for SPA interview for future batch? I’ll be graduating next year and I am looking forward to know the impact of contract HO on the waiting period for graduate next year. Will it be much shorter compared to the current situation? I doubt so. Contract post are also limited and not limitless. The number of HOs a hospital can take is also limited by other factors like number of consultants, number of beds etc. Hi Dr Pagalavan, would like to know can we do out post graduate in other countries and come back to work? Is it recognised by malaysia government? May i know where to find the lists of overseas’ universities which are recognized by Malaysia? The most potentially abuse part would be determination of absorption into permanent service. Not only HOD could be asking for favours, mo/specialist could influnce the HOD. There nothing stopping someone from saying do this or i will tell boss you are not teamplayer or you are lazy. What favours? Virtually anything under the sun as some of this ho would been jobless for months, with family debts to repay for their education, and job prospect hitting ground zero. I as a pakistani have got admission in UPM and UTM for biotechnology BSC hons should I choose it over mbbs in Pakistan? I am a local uni student. in your opinion, should I apply for JPA scholarship? My result is quite ok. Since local uni does bot cost much, I can make through it without scholarship. But will it lower my chance to get placement after graduating? No one knows at the moment. 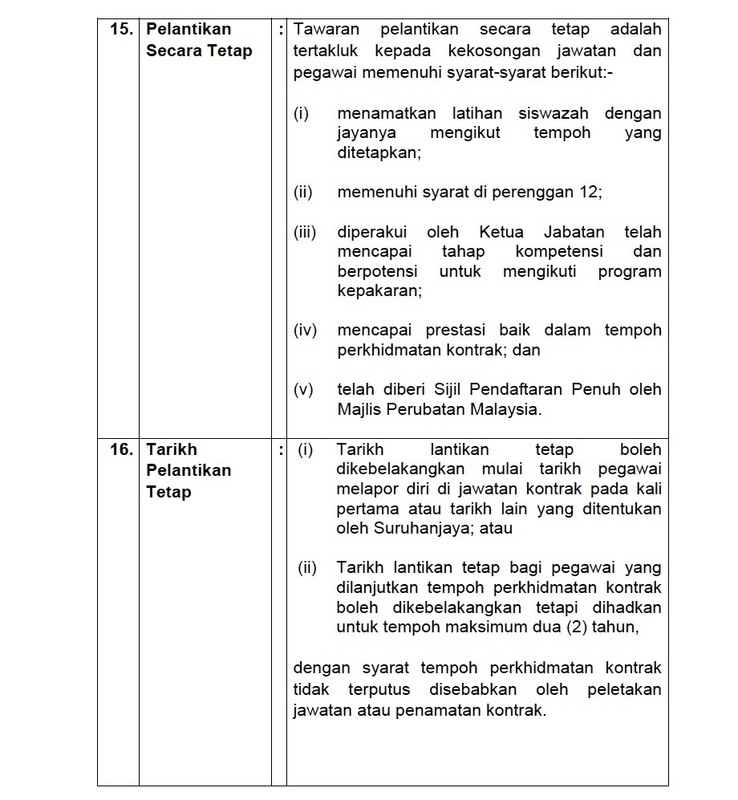 I always thought JPA scholars will be given priority but that was debunked last month! Both are OK but the quality of NuMed is also monitored by GMC. Just to note, the contract post for HO-ship seems to be 3 years, and they are not obliged to hire you after that. This means, without completing the minimum four years (with or without being an MO), they still wont get their APC. Yes, technically but DG did say that the contract will be renewed till you complete your compulsory service. With this kind of job prospect i really hope people will start looking at other option. Passion alone cannot feed you. Learn political sience and becomes the policy makers. Unfortunate fortune indeed. Good morning Dr Pagalavan . Apparently many queries are yet to be answered . Since from no onwards , every new HO will need to work under contract basis and it’s highly likely those JPA scholars will have had their contract converted to loan , the amount of payback (if applicable ) will be one of the focus . From my experience , those who took JPA scholarship were paid for around 68k over 5 years for school fees and living cost . 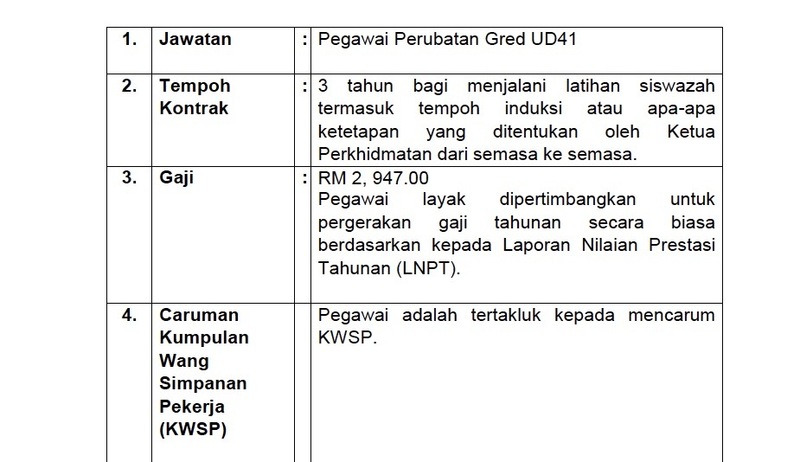 However , the contract was worth RM 250k . I wonder what is the amount need to be paid to government if they are not absorbed as permanent MO in future . Same goes to the scholars who went to overseas under JPA . I believe the criteria for competency also need to be defined properly . Any Extension in ho-ship is considered as incompetence (which results higher risk in not getting permanent posts) ? As far as I know, some departments do practice compulsory extension for incomplete procedure as well . 68K if local, what about those from overseas? Usually, JPA will consider the number of years of service before deciding the amount to pay back. Yes, any extension will be considered as incompetence! After this, there is no extension but termination of contract.. easy come easy go.. by this way, the amount of HO and MO in future will drop drastically. It is too easy to extend a doctor.. Thanks for the post ! I have a question . I’ve heard that HO’s who have completed their MRCP part 1 will have a fast track of 16 months instead of the usual 24 months . Is this true ? Part of the reasons why there are not enough Houseman jobs is that many (about 20%) get extended in one or more postings. By doing this, they therefore cannot complete their scheduled 2 years Housemanship, and hence hang on to the post, delaying the next person. The Medical Act only specify a minimum of 12 months Housemanship for full registration. Therefore, the MoH has proposed to fast track good Housemans and also allow them to enter the “alternate pathway” MoH postgraduate training early. So a HO having completed 3 posting with excellence, and pocessing a Part 1 of an Alternate Pathway exam (eg MRCP, MRCS) can apply for completion of Housemanship in the 4th posting. If approved, he/she then need not continue the 5th and 6th postings, will get full registration, and then posted to their speciality of choice as an MO. In effect a 16 months HOship. It seems good that the more competent HO’s will be given this incentive . Let’s just hope they will be transparent with the selection process . This is what they are planning but it is not going to be as easy as passing MRCP part 1 etc. There will be an assessment done by a committee to decide whether you will be eligible. Anyone can pass exams and that doesn’t mean you are good! Good evening Dr. I’m currently a fourth year medical student in a local university and I would like to seek clarification on the matter of let’s say a HO manage to pass 2 years of contract without fail will he/she be guaranteed a permanent MO post or is it required to have MRCP part 1 in order to get the permanent MO post? Thank you Dr.
Good evening Dr. I’m currently a fourth year medical student in a local university. I would like to seek clarification on the matter of let’s say a HO manage to pass the 2 years of contract without fail will he/she be guaranteed a permanent MO post or is it required that they have MRCP part 1 to guarantee a permanent post? Thank you Dr. This was the essence of my question (refer up). I believe this might be down to meritocracy, and I refuse to accept the logic all housemens who have completed their 2 years will automatically be granted a permanent post as an MO. Maybe contract MO post? Hi Dr Pagalavan. This is Su-Lyn, journalist from Malay Mail Online. I emailed you some questions. Please do check and get back to me asap. Thanks a bunch! Hi Dr Pagalavan. This is Su-Lyn, journalist from Malay Mail Online. I emailed you some questions. Please do check and get back to me asap. Thank you! Dr Paga, if I choose to complete HOship overseas (PGY-1&2), do I become a MO automatically when I return home? Does the contract issue affect me? You will need to get MMC to waive the requirement for Housemanship (normally not an issue) and give you full registration. While it is still possible to get a permanent jobs with the MoH at the moment, that is also filling up fast, and with the tsunami of HOs flowing onto junior MO level, it will likely be full soon. There is no contract jobs at MO level, but I believe MoH is trying to get JPA to agree to also create contract MO jobs. Hi, first of all, I am Siti Nur Alia binti Kamarulzamil, medical graduates from Tanta University, Egypt. I have received my temporary mmc registeration and currently waiting for my e-ho placement. However I have some questions. I am married to an Egyptian, have one daughter. So somehow I wonder if I were to choose to do my housemanship and then work in Egypt (private sector) and maybe continue my post graduate studies here as well, is there any possibilities for me to come back to Malaysia later or there will be a problem? 1. Is it possible for me to work in Egypt, and what will happen to me later when I decide to come back to Malaysia? 2. If yes, what qualification should I bring back to applied for a placement and to be recognized by the MMC? Who should I refer about this. I have sent emails to MMC but no respond yet. I am thinking to settle down here in Egypt sebab suami. But mind you that life in Egypt is totally different from UK and Malaysia so the medical system as well. Anyway, your kind cooperation is highly appreciated and anticipated. Thank you Dr.
1) that depends on whether the post graduate degree from Egypt is recognised in Malaysia. As far as I know some Egyptian doctors do sit for MRCP etc. UK based degrees are recognised but as far as I know, no local Egypt post graduate degrees are recognised in Malaysia. 2) whether you can work in Egypt or not, you need to ask Egyptian authority. 3) If you do your housemanship in Malaysia and get full registration from MMC, you can always come back to work as a MO/GP.As for qualification, the answer is as in (1) above. You can apply to MMC to waive your houseman ship requirements but they may still ask you to do postings that you did not do in UK. However, getting a job as a MO will be another problem by the time you get here. I’m a Uk graduate and am thinking of relocating home with a hope to pursue medicine after foundation and core medical training (equivalent to 2 years of Mo-ship in 6 medical departments), will I be subjected to the new contract for juniors or does it only apply to those who are starting as housemen?